This poignant universal story,adapted after Raduan Nassar's book, presents the parable of the Prodigal Son, seen through the lenses of Carvalho, in a deep, passionate, tragic and at the same time, poetical narrative.The photography evolves accompanying the story, in a crescendo - from the monotonous familiar countryside farm journey chores, presented in pastel tones, until the climax,in bright luxuriant brazilian landscape colors, as the rythm of passion rises, intermingled by interior candle- light chiaro scuros,all punctuated by a vigorous and vibrant music. A strict Tunisian woman and her two daughters live secretly in the servants' quarters of an abandoned estate. They stay hidden and find a way to be self-sustaining while being completely off the grid. 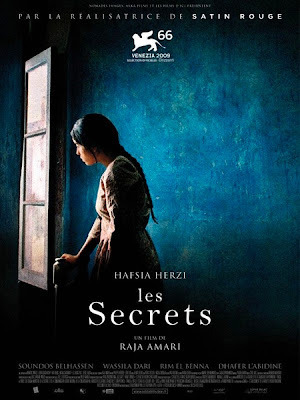 One day a free-spirited couple moves into the house and the youngest daughter becomes enthralled by their way of life, putting her own family at risk and leading to unexpected consequences. The plot is equal parts family psychodrama, coming-of-age melodrama, and contemporary thriller. Anchored by a stunning cast of actresses, the film is a slow-burning parable of a woman's - and a generation's - awakening desire for freedom, sexuality, and modernity. Born in Tunis in 1971. She studied French literature in her native Tunis and then Paris. She directed her first short film 'Le Bouquet' in 1995. Her feature debut 'Satin Rouge' (2002) was selected for the Berlinale Forum. 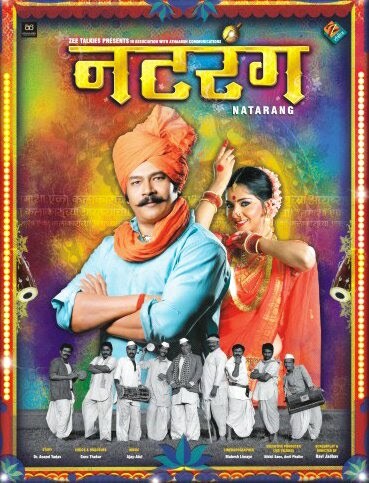 Gunwantrao aka Gunya (Atul Kulkarni) is a daily wage earner who works on farms for a high caste landlord. He has a passion for ‘Lavani and tamasha’. He has inherent passion for acting and he has a great ‘leadership’ quality. Gunya decides to convert his hobby ,passion into a business. He decides to start his own ‘Natak company’ when he loses his job(fetching water from well) due to ‘machine’ (water pump). People become pro-active when they see one farmer doing it, and decides to follow ‘Gunya’ just because they feel they should look for an ‘alternative’ work to earn their bread. ‘Gunya’ and other farmlabors starts ‘Natak company’ by the support of Pandba ( Kishore) who has good insight of ‘Tamasha business’. Pandba knows the dedication and passion of Gunya and he also trusts his capabilities as an actor and his leadership qualities. At the same time Pandba knows that Gunya is an innocent hearted person and does not understand business, so he decides to support him whole heartedly. Gunya goes against his family wish and starts a ‘Tamasha’ company in which he performs different jobs of writer, director, poet, and actor a King. Being a macho man and ‘marzi ka malak’ he suits the role of King. But situation demands something else from him. ‘Tamasha’ without ‘Girls’ can never be success and Naina (Sonali Kulkarni) who agrees to play a part in his troupe puts a condition that she will work with them only if they introduce a ‘panzy character’ (Nachya) in the play. Being an experienced woman in Tamasha Naina’s mother (Priya) convinces them that public needs innovation and ‘nachya’ is more preferred over ‘songadya’ (comedy character) by audiences. In small village, people do not get ready to play this character, as it could lead to lot of humiliation in public and may cause ‘public shame’ on their manhood. And there starts a series of sacrifices by Gunya. Padba convinces Gunya to performe ‘panzy character’. Naina guides him and Gunya becomes and excellent panzy performer. Within few shows their ‘Gunwantrao Kagalgaonkar and Naina; tamasha’ troupe becomes famous in neighborhoods. They starts getting lot of work from different villages and the success story of ‘Tamasha’ company continues with the more and more ‘sacrifices’ and personal problems of Gunya. Gunya has to adopt his ‘panzy character’ in his life too, to achieve ‘Supari’ (contract) to perform from political netas. I think rest of the part should not be disclosed here because there lies the ‘excellence’ of ‘cinema’, watch it to gain the emotional rollercoaster of movie experience.